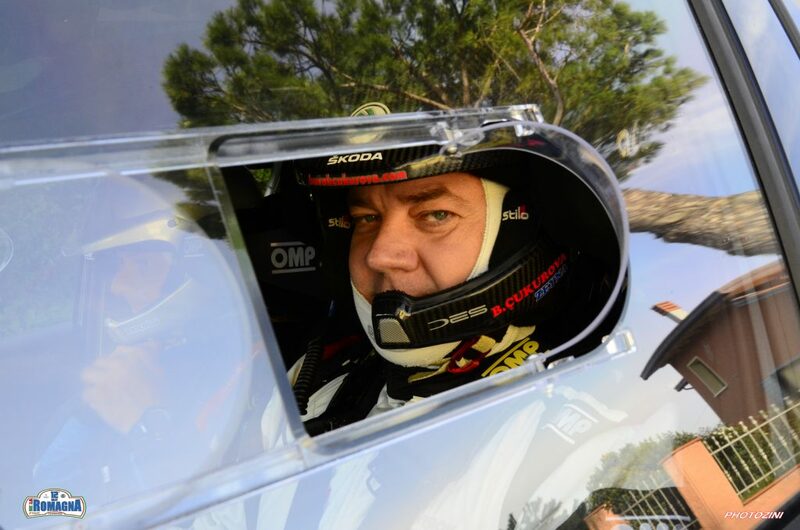 Frenchman Sylvain Michel holds a curious record that few other rally drivers can boast of. 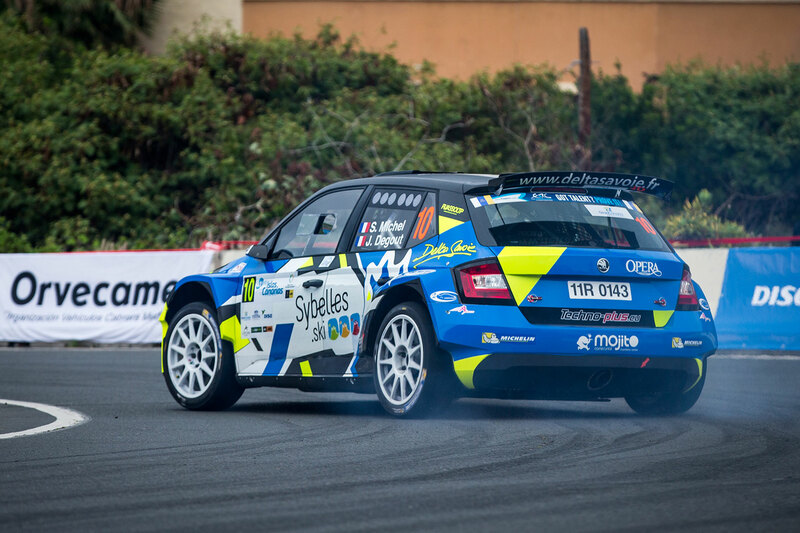 Back in 2016, his first season in a ŠKODA FABIA R5 saw him crowned winner of the French Tarmac Rally Championship. Remarkably, he secured this title without actually winning a single round of the Championship. 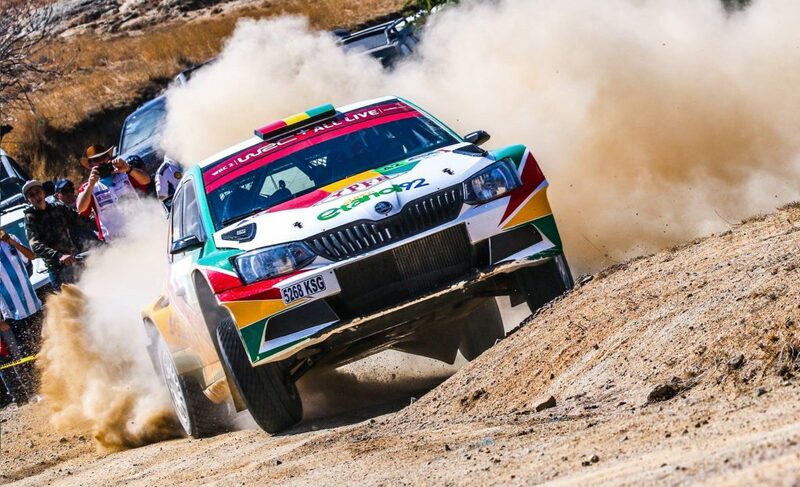 Consistency was the key for Michel that year, as the reliability of his Team 2C Yacco FABIA R5 helped him to six podium finishes in seven rounds driven, enough to win him the title by the comfortable margin of 73.5 points. Such consitent results has been a constant throughout his short career to date. Of the 48 rallies that Michel has started so far, he has retired from just six. Not many drivers can match a finishing ratio of 77.5%. Converting that into victories, however, has proved harder. 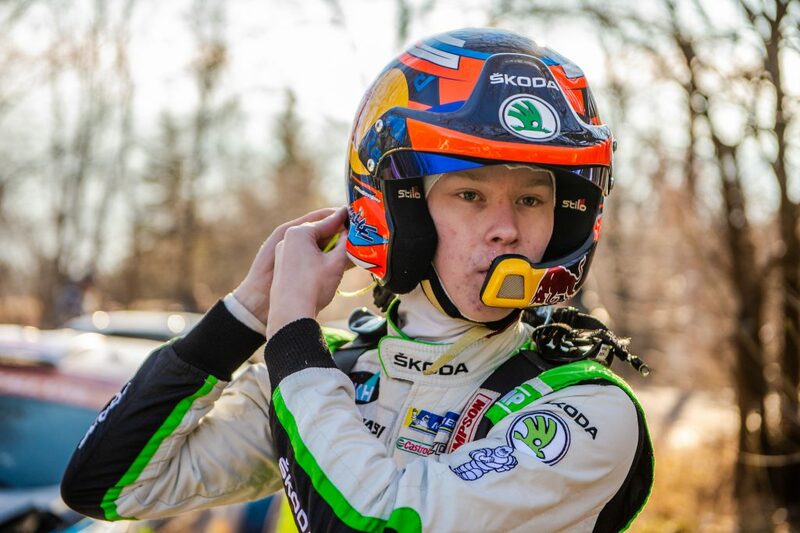 Not only did he not win a rally en-route to his 2016 French Gravel Title, but he managed to win a national championship before he had ever actually finished on top of the podium. 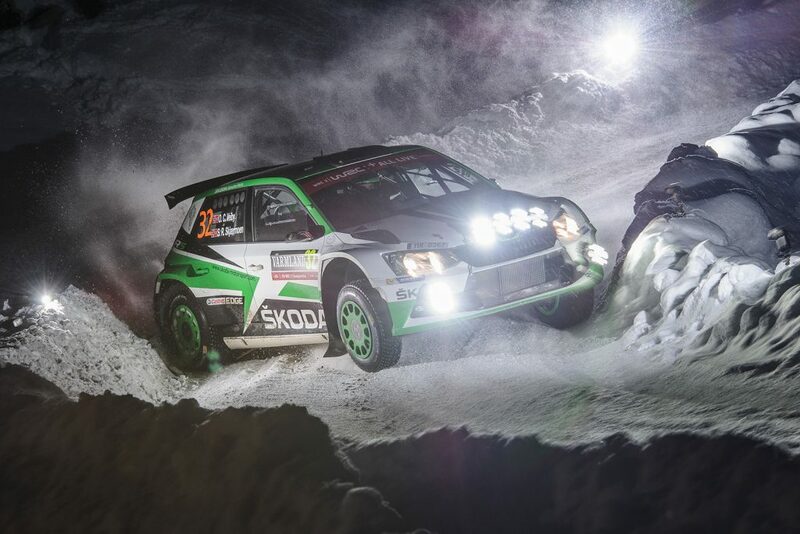 That unwanted record was finally broken last season, with a first career victory at the Rallye National Savoie – Chautagne in the French Cup. But, while Michel showed his undoubted quality in the two European Rally Championship (ERC) rounds he drove, there were still a few question-marks about his ability to convert that talent into outright wins. To his credit, Michel opted to take on a new challenge this season. 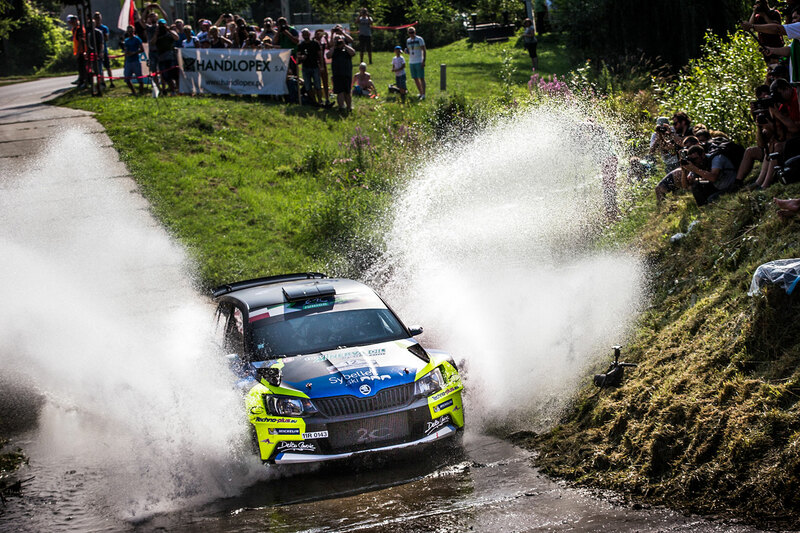 With a French Tarmac title already under his belt, he turned his attention to the French Gravel Rally Championship. It was a decision that would prove the making of him and put any of those lingering doubts to bed once and for all. It wouldn’t happen immediately. At the opening event of the season, the Rallye Terre des Causses, Michel and his Belgian co-driver Lana Vanneste were only able to finish in 4thplace, some two and a half minutes behind the winner. They were the highest placed R5 car, but the presence of WRC-powered cars in the French Gravel Championship suggested that it could prove to be a long season. Michel had other ideas, as he showed at the next round, the Rallye Castine – Terre d’Occitanie. After keeping pace with the WRC cars in the opening stages, Michel found an extra gear on stage 3 and took the overall lead with a strong stage victory. It was a lead he wouldn’t relinquish as four more stage wins and three close second-places helped him to victory by a comfortable margin of one and a half minutes. It was just the second rally win of his career and the first in a major championship event. Michel had got the taste for winning, but he would have to wait when scheduling issues caused the cancellation of the third round event, the Rallye Terre du Diois. That meant it was some two months later before Michel would race again, at the Rallye Terre de Langres – Haute-Marne. This was a hotly contested rally with Michel and his two WRC driving rivals, Thibault Durbec and Lionel Baud, running neck and neck and swapping places at the top of the leaderboard after almost every stage. At the finish, just 14.5 seconds separated the three cars. 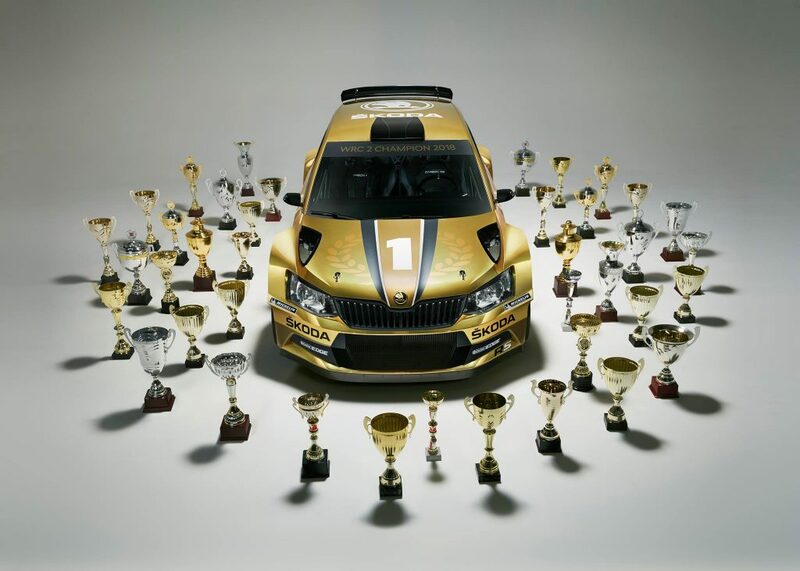 Although Michel had kept his FABIA R5 in contention with his more powerful rivals throughout, he still ended up on the bottom step of the podium. 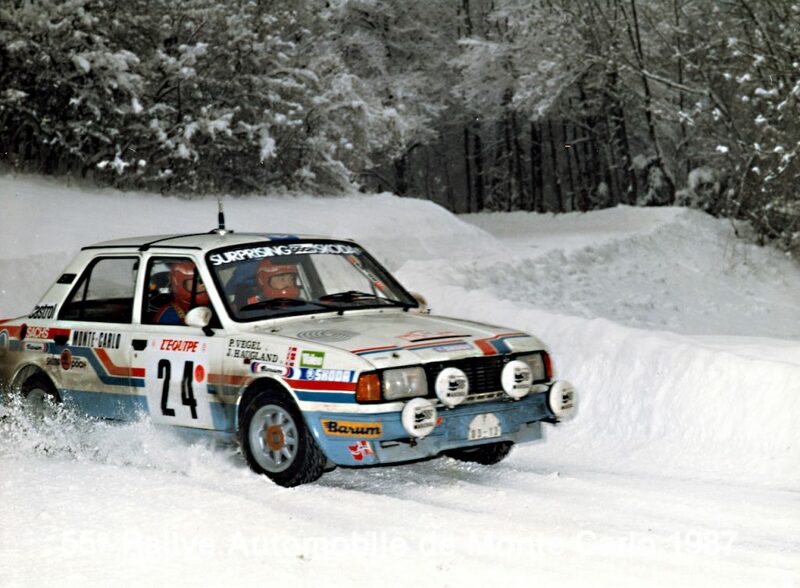 Undeterred, Michel continued to push hard in the following round, the Rallye Terre de Lozère. In contrast to the previous rally, however, a strong start for Lionel Baud saw him establish an early lead that he wouldn’t relinquish. Meanwhile, Michel remained comfortably in second place for the duration of the rally, more than 20 seconds ahead of Thibault Durbec who stayed third throughout. That was to be the last rally of the season in which Lara Vanneste served as Michel’s co-driver. In the penultimate round of the season, the Rallye Terre des Cardabelles – Millau – Aveyron, he was sitting alongside seasoned French co-driver Jérôme Degout. 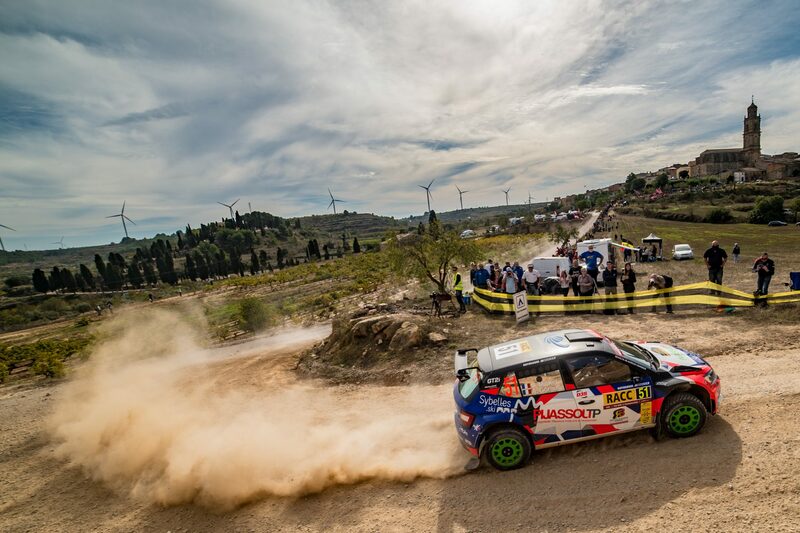 The two had driven together several times before and their chemistry was immediately in evidence, as Michel stormed to his second victory of the season. After a modest start, he took advantage of Lionel Baud’s misfortune on the third stage to claim a lead he would never relinquish. 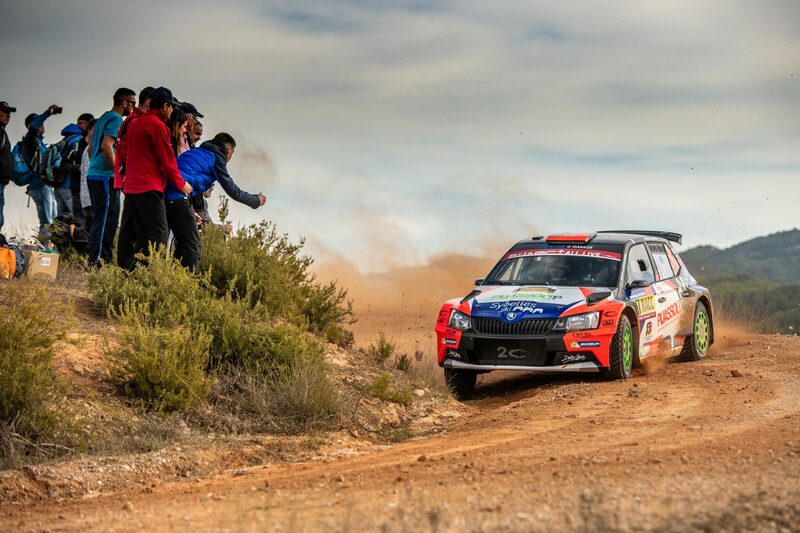 Five stage victories would help him to clinch the win by a margin of 23.2 seconds from Thibault Durbec, with Baud finishing back in sixth place. 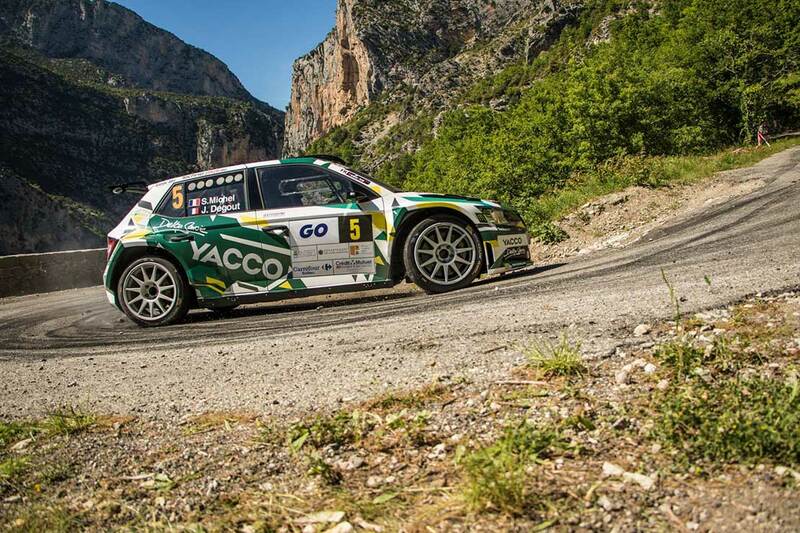 The result left all three drivers in contention for the title going into the final rally of the season, the Rallye Terre de Vaucluse. 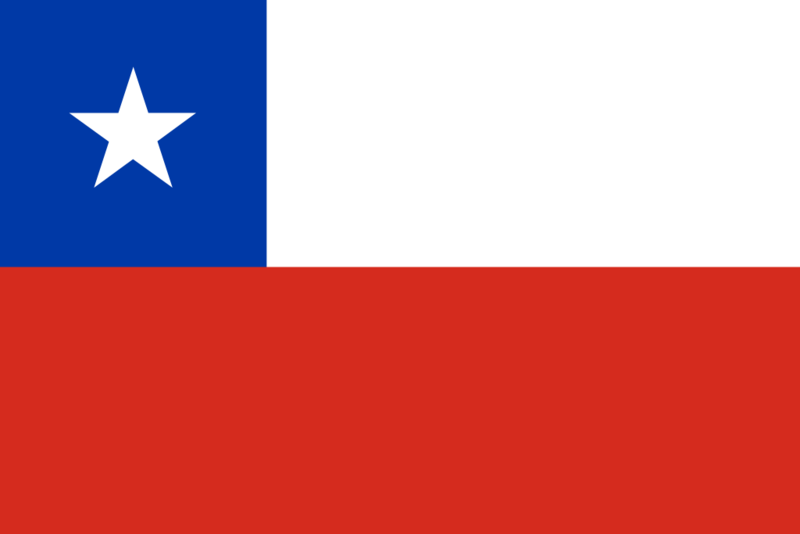 This event saw Citroën works driver Stéphane Lefebvre bring his WRC-powered car into the equation and few were surprised when he claimed the overall victory. It was behind him, however, where the title was being decided. A strong drive from Thibault Durbec saw him finish second, while Lionel Baud’s decision to switch down to a Citroën C3 R5 car for this final round backfired, as he could only manage fifth place. Those results left the title within Michel’s grasp. He didn’t make his task any easier when he earned a 20-second penalty for late arrival at a time control, but his trademark consistency carried him through once more. A comfortable third-place finish saw Sylvain Michel clinch the French Gravel championship by just 8 points. 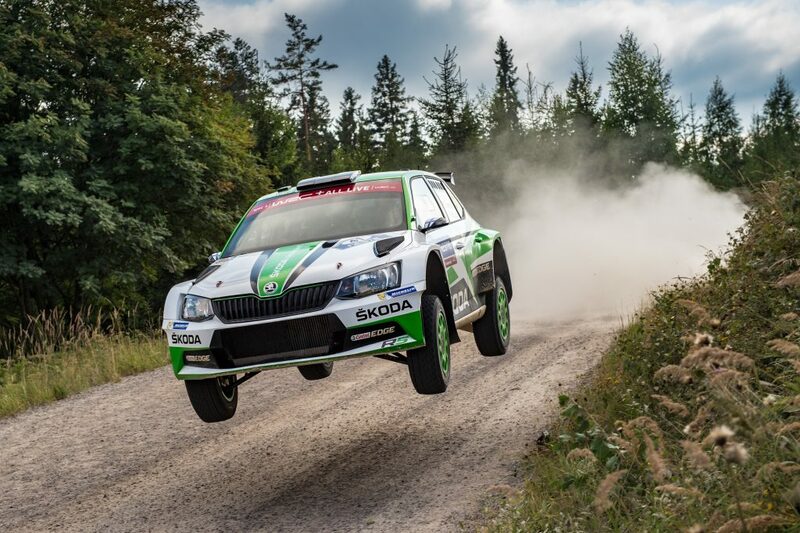 The 2018 season was Michel’s third in a ŠKODA FABIA R5. In that time, he has won both the French Tarmac and French Gravel titles, the latter at the expense of several WRC-powered rivals. He has also finally begun to convert his consistency into victories. His development has been hugely impressive. He has proved he can win titles on any surface, and, at the age of just 27, Sylvain Michel still has the potential to achieve a great deal more.